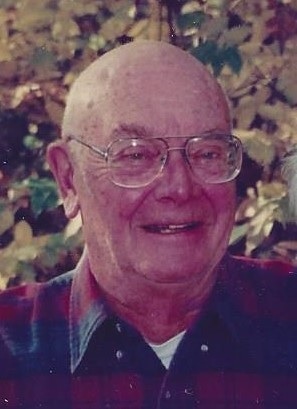 Wyland, Edward F. age, 91 of White Bear Lake. Preceded in death by loving wife of 68 years, Geraldine; grandson, Matthew; great-grandson, Aiden. Survived by children, Mary Kay (Warren Langston), Joseph (Hazel Walters), William, Dr. Catherine, Edward Jr. (Jody), John (Tammy), Gerald (Lisa); 12 grandchildren, Amy (Erik Englund), Kristine (Jared) Fitzsimmons, Robert (Barbara) Kraemer, Jessica (Shawn Sheble), Cynthia (Kambrell) Camper, Melisa (Mel) Solis, Alissa, Jennifer, Lucia, Liv, Liisa, Leif; 21 great-grandchildren, Jonathan, William, Brooke, Dylan, Hudson, Josephine, Portia, Jasmine, Aubrie, Averie, Sophia, Mateo, Simon, Vera, Jackson, Keira Jean, Kaitlin Cecile, Alexander, Sophie, Kellen, Rhys; sister Barbara Pappas; many nieces, nephews and friends. Mass of Christian Burial 11:30 AM Fri., March 3, 2017 at ST. MARY OF THE LAKE CHURCH, 4741 Bald Eagle Ave., WBL. Interment St. Mary’s Cemetery. Visitation starting one hour before Mass at church. Memorials preferred. To send flowers to the family of Edward Fred Wyland, please visit our Heartfelt Sympathies Store.